As I've stated here before, one of the best things about blogging is meeting so many wonderful people from so many different places. While I am based in Canada, this blog receives traffic from all over the U.S., Europe, the Middle East, Australia, Central and South America, Iceland, Japan and India - to name a few - and I've been fortunate to have had some very nice correspondence with many, many people from around the globe. It's really the best perk of having blog! One of the most supportive readers is Rowaida Flayhan, a longtime Martha Stewart enthusiast who lives in London, Endland. Recently, she shared photographs of some of her homemade confections with me and I was so astounded by the level of professionalism and beauty that I had to share them. 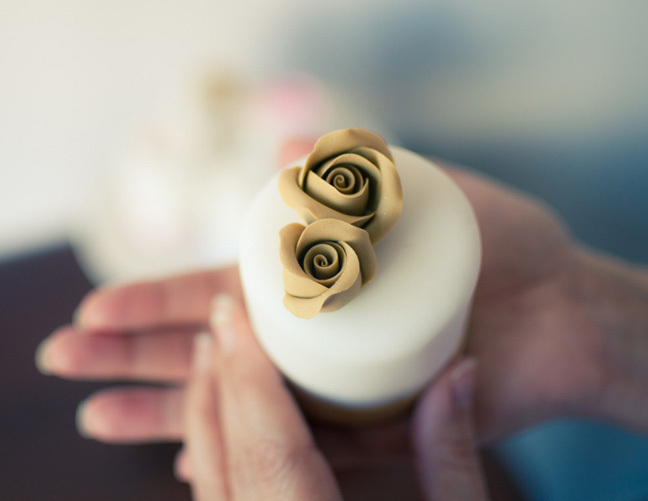 Rowaida takes advanced private baking lessons from renowned British cake designer Zoe Clark. Spring was the inspiration behind these particular creations, below. "I wanted to incorporate the soft, dreamy pastel colours of spring, working with flowers and butterflies," she says. 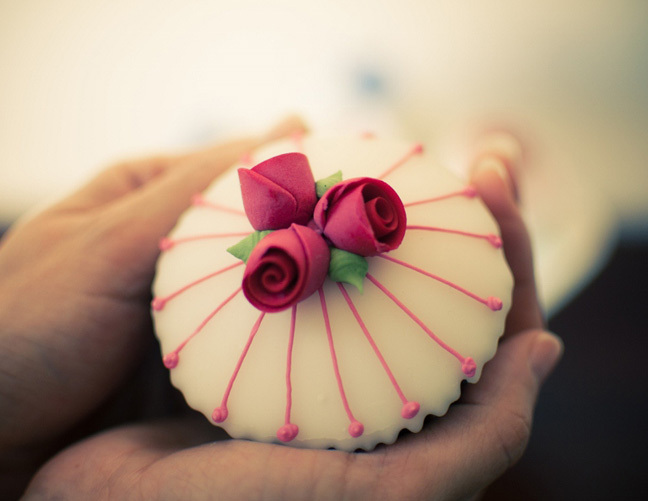 "I baked assorted sweets, such as cupcakes, mini cakes, petit fours, cookies and a two-tier cake." I'm sure you'll agree that the results are stunning. The photos were taken by her son, Sam. Thank you for sharing this Martha Moment, Rowaida! See more at Flickr. Thank you so much Andrew. I will treasure your post. This is the most beautiful and dreamy sweet table. Absolutely stunning. I have been admiring Rowaida's creations for a while on Twitter and Flickr, but the photography here is truly wonderful. Everything looks beautiful and dream like. 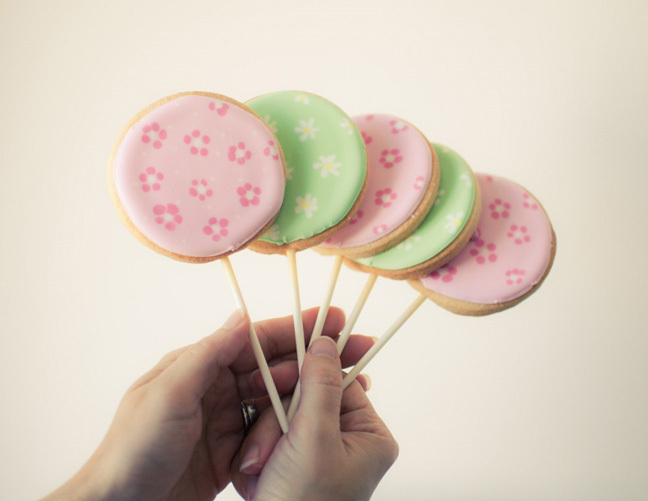 I'm in love with these spring sweets. Martha on PBS in the Fall! 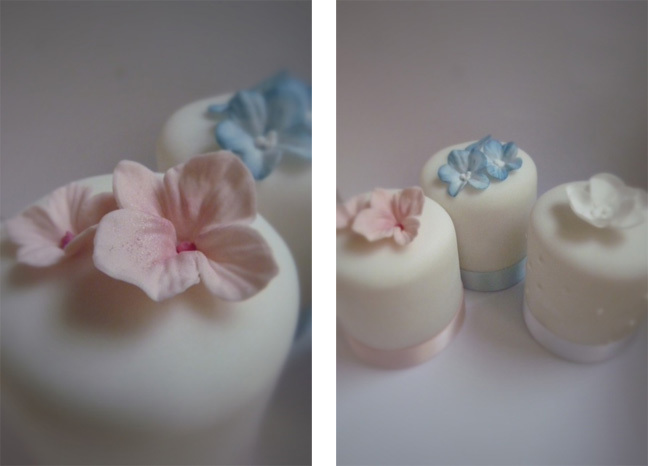 Beautiful cakes. 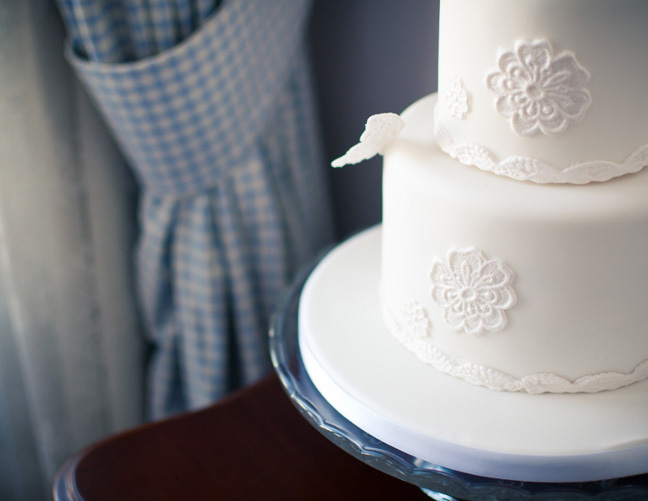 I love the lace 2 tier cake. The photos are perfect. Hi, I saw your link on twitter @Rowaida I love her dessert tables, she is a sweet person on twitter. I am a new visitor to your blog I found your blog very interesting. Looks Deliciously good! Thanks for sharing. Is there a link to a website or flickr? Jennifer, I put the link to her Flickr account in the post. She's so talented! Hi Andrew, thank you again for the post and thank you all for your wonderful comments. 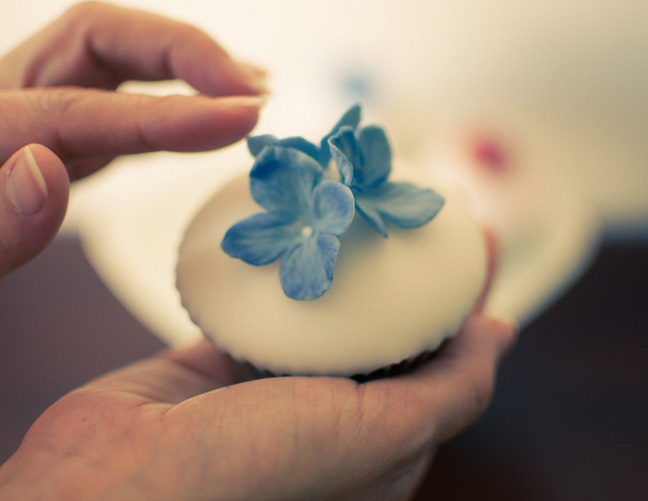 Hi, Your little cakes are so beautiful,and I bet they taste as good as they look,what talent! You are right Barbara, Little cakes are very beautiful. I like all.